What Should I Consider Before Using Social Media? Weblogs and social networking sites (such as Facebook, Twitter and LinkedIn) are increasingly a part of the everyday lives of lawyers as well as the clients, witnesses, opponents and judges with whom they deal. Such on-line services provide lawyers with unprecedented opportunities to market practices, develop relationships and improve professional competence. Significant perils accompany these opportunities, however. Indeed, the misuse of social media sites has already led to ethical issues for a number of lawyers and judges. Many lawyers resist changing the way they have always practiced. But none can afford to ignore the benefits of using social media. Blogs and networking sites, including professional networking sites like Avvo, are indispensible marketing tools. Because prospective clients increasingly search for legal services on-line rather than through using traditional media like the Yellow Pages or Martindale-Hubbell, lawyers must have a searchable “presence” on the Internet simply to be found. Blogs and social media can also help lawyers develop and maintain professional competence. By reading and writing about recent developments in a particular area of the law, social media can be an effective, timely and free source of CLE for individual lawyers. Moreover, the content published by contributing lawyers can provide valuable and readily-accessible information to the public about the legal profession and the justice system. It may even generate ideas to improve both. Finally, social networking sites and search engines can help lawyers prepare for their cases. Just as employers often “Google” prospective employees prior to hiring, lawyers can and should mine social media for information about witnesses, clients and opponents to prepare for evidentiary hearings and depositions. Technological change and social media—like them or not—are undeniable and beneficial aspects of modern law practice. As a result, successful lawyers must adapt their practices accordingly. 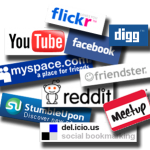 In so doing, however, they must remain mindful that membership in the social networking community does not come risk free. The use of social media by lawyers presents questions and concerns regarding compliance with legal ethics rules. Indeed, concerns about maintaining ethical standards should be expected when any new technology—and particularly communication technology—affects the practice of law. Some of the standards implicated by a lawyer’s use of social media are considered below. A lawyer must provide competent and diligent representation to the lawyer’s clients. Social networking threatens a lawyer’s competence and diligence because its use can be enormously distracting. 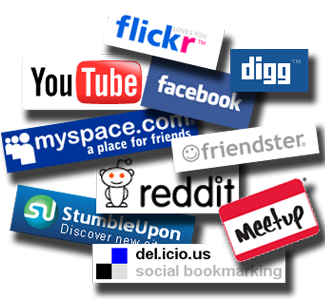 It is frighteningly easy to become consumed with visiting social media sites and, as a result, to neglect legal matters. Moreover, efforts to “multitask” both social media use and in-office lawyering may significantly reduce the quality of the lawyer’s work. Finally, because many social media posts are informal and spontaneous, competence is potentially imperiled when a lawyer provides “off-the-cuff,” ill-considered legal advice or information on social networking sites. A lawyer must maintain the confidentiality of client information. Posting case-related information on social media is easy and immediate—perhaps too easy and too immediate in some cases. Indeed, lawyers have “tweeted” from court and posted confidential client information on blogs. Such tweets and posts are disseminated immediately across the vast Internet to an infinite number of people. Of course, there was a possibility of improper “shop talk” prior to social networking. However, given the broadcast nature of dissemination through social media, the potential for harm from such disclosures is exponentially greater. A lawyer must not engage in the unauthorized practice of law in a jurisdiction in which the lawyer is unlicensed. While the American Bar Association has taken steps to promote greater nationalization in lawyering, the practice of law in the United States remains largely parochial. A lawyer using social networking certainly has the technological wherewithal on a laptop, or even smartphone, to advise clients throughout the nation and beyond. But any lawyer who takes advantage of these capabilities without an appropriate law license does so at ethical peril. A lawyer must not make a false or misleading statement to a potential client, to a judge or to a third-person. These content-based restrictions on lawyer speech serve both to protect the public from unfair advantage-taking by a lawyer, and to shield the justice system from improper statements that might affect the reliability of adjudicative proceedings. The use of social media increases the risk not only of making false or misleading statements in the first place, but also of getting caught thereafter. As to making false statements, the increase in the quantity of communication attendant to social networking directly increases the chance of simply getting something wrong. This is particularly true given that social networking posts are sometimes hastily created, rarely proofread and almost never vetted. Moreover, a lawyer may view Facebook or other networking services as a means to “get dirt” about an opponent (for example, to show that a personal-injury plaintiff is physically active despite a claim of disability). However, to access such information, the lawyer typically needs the opponent to “accept” the lawyer’s “friend request”—a request premised on a false pretext or false name. At least one bar association ethics opinion has condemned such lawyer deception as a violation of Rule 8.4(c) (prohibiting conduct involving dishonesty) and Rule 4.1 (prohibiting false statements of material fact to a third person). A lawyer must not improperly communicate with a represented person, a judge or a juror. These recipient-based restrictions on lawyer speech serve to protect the sanctity of the lawyer-client relationship and the independence of adjudicators by preventing a lawyer from communicating with those over whom the lawyer may exert improper influence. Social media permit a lawyer to have ready access to an audience that may contain represented persons, judges or jurors with whom the lawyer cannot otherwise communicate. For example, the North Carolina Judicial Standards Commission publicly reprimanded a district judge for engaging in ex parte, Facebook communications with a lawyer for one of the parties during an ongoing a domestic matter. While the impropriety of two-way correspondence with a prohibited person should be obvious to most lawyers, the plain language of applicable professional conduct standards is broader than some lawyers may appreciate. These standards prohibit “communications” with represented persons, judges and jurors—including one-way communications from the lawyer to an audience in the public cloud. Each of these ethical risks of lawyer social networking is real. All, however, are manageable. To manage the significant risks of using social media, lawyers would perhaps be best advised simply to use common sense. That is, lawyers simply should act reasonably and responsibly while sitting at a keyboard, just as they should act reasonably and responsibly while sitting at counsel table or behind the wheel of an automobile. True. But to tell someone to “use common sense,” to “be reasonable,” or to “act responsibly” offers little practical help. Rather than taking this approach, this paper concludes with a few simple “dos and don’ts” for lawyers using social media. Do read and follow the rules of professional conduct applicable in your jurisdiction. The ABA 20/20 commission considered amendments to the Model Rules of Professional Conduct to address specific lawyer social networking issues, but ultimately recommended no sweeping rule changes in this area. Thus, the current rules apply to all lawyer conduct—irrespective of whether the conduct occurs on the ground or in the cloud. Read them. Follow them. Don’t become consumed with social networking. Do turn it off every now and again. Don’t “multitask.” Because following Facebook, Twitter, RSS feeds and blogs is fun and feels falsely productive, it can become all-consuming. It’s way easier to spend enormous amounts of time staying current with friends and developments using social media than it is to actually work. You are a “competent” and “diligent” lawyer only when you are working. Not when you are friending. Use social media. But use it like alcohol—in moderation. Do use the confirmation principle. Confirmation is a “technique for preventing unintended actions by requiring verification of the actions before they are performed.” Before posting anything on a social media site, confirm that the post is accurate, ethical and professionally appropriate. In other words, before hitting “post” or “send,” slow down, proofread, and fact check. While confirmation will slow your workflow, it could save your professional reputation. Don’t give legal advice to anyone on a social networking site. Instead, provide only legal information. Distinguishing between “advice” and “information” is sometimes difficult, but here’s a start: a post contains “advice” if it applies law to a real issue relevant to an identifiable recipient; in contrast, a post contains “information” if it describes the law in general terms or if it applies the law only to hypothetical issues and persons. To reinforce that you provide only information, place a disclaimer on your site that you only provide information and not advice. Then follow your own disclaimer. Don’t reveal confidential information on social media sites. The scope of what is “confidential information” is significantly broader than most lawyers realize. Indeed, under the Model Rules, information is “confidential” if it in any way “relat[es] to the representation of a client.” Therefore, post information about clients and cases on social media only when there is “no reasonable likelihood” that a recipient will be able to “ascertain the identity of the client or the situation involved.” Better yet, don’t post information about clients and cases on social media. Don’t post anything on social media during trial. Pay attention. You’re in trial. Don’t communicate with judges and jurors about pending cases. See also the preceding paragraph. One blogger has called lawyers’ use of social media a “game changer on a grand scale.” See Nicole Black, Law and Technology Blog, You Say You Want an Internet Revolution (Feb. 10, 2009) (http://21stcenturylaw.wordpress.com/2010/02/10/you-say-you-want-an-internet-revolution/) (social media is “changing the world as we know it. Social media is changing the ways in which people communicate, connect, create and collaborate. Participation in social media is growing at an exponential rate and people of all ages are now participating.”). See Stephanie Francis Ward, BigLaw Associate “Googles” Everyone Before Presenting Job Candidates to Firm, ABA Journal, Law News Now (Aug. 1, 2009). See Debra C. Weiss, Social Networking Sites Provide Grist for Lawyers, ABA Journal, Law News Now (Feb. 20, 2008). For example, more than ten years ago the ABA Standing Committee on Ethics and Professional Responsibility considered the ethical issues associated with whether lawyers could use email for confidential communications. See ABA Formal Opinion 99-413: Protecting the Confidentiality of Unencrypted E-Mail. See ABA Model Rules of Professional Conduct 1.1 (“A lawyer shall provide competent representation to a client. Competent representation requires the legal knowledge, skill, thoroughness and preparation reasonably necessary for the representation. ); id. Rule 1.3 (“A lawyer shall act with reasonable diligence and promptness in representing a client.”). See Stanford Report, Media Multitaskers Pay Mental Price (Aug. 24, 2009) (http://news.stanford.edu/news/2009/august24/multitask-research-study-082409.html). See ABA Model Rule of Professional Conduct 1.6(a) (“A lawyer shall not reveal information relating to the representation of a client . . . .”). In addition to a lawyer’s obligation to the lawyer’s client to refrain from publicly disclosing certain information, a lawyer has an obligation to the public to refrain from making an “extrajudicial statement that the lawyer knows or reasonably should know will be disseminated by means of public communication and will have a substantial likelihood of materially prejudicing an adjudicative proceeding.” See id. Rule 3.6(a). See Robert J. Ambrogi, More Twittering from the Courtroom, (Jan. 6, 2009), http://legalblogwatch.typepad.com/legal_blog_watch/2009/01/more-twittering-from-the-courtroom.html. See James M. McCauley, Blogging and Social Networking for Lawyers: Ethical Pitfalls, (Jan. 20, 2010), http://ethicsguru.blogspot.com/2010/01/blogging-social-networking-for-lawyers.html. See ABA Model Rule of Professional Conduct 5.5(a) (“A lawyer shall not practice law in a jurisdiction in violation of the regulation of the legal profession in that jurisdiction, or assist another in doing so.”). See ABA Model Rules of Professional Conduct 3.3(a)(1) (“A lawyer shall not knowingly . . . make a false statement of fact or law to a tribunal or fail to correct a false statement of material fact or law previously made to the tribunal by the lawyer”); id. Rule 8.4(c) (“It is professional misconduct for a lawyer to . . . engage in conduct involving dishonesty, fraud, deceit or misrepresentation.”). See ABA Model Rules of Professional Conduct 4.1(a) (“In the course of representing a client a lawyer shall not knowingly . . . make a false statement of material fact or law to a third person”); id. Rule 8.4(c) (“It is professional misconduct for a lawyer to . . . engage in conduct involving dishonesty, fraud, deceit or misrepresentation.”). See The Philadelphia Bar Assoc., Prof. Guidance Comm. Op. 2009-02 (Mar. 2009). See Molly McDonough, Facebooking Judge Catches Lawyer in Lie, Sees Ethical Breaches, ABA Journal, Law News Now (Jul. 41, 2009). See ABA Model Rule of Professional Conduct 4.2 (“In representing a client, a lawyer shall not communicate about the subject of the representation with a person the lawyer knows to be represented by another lawyer in the matter, unless the lawyer has the consent of the other lawyer or is authorized to do so by law or a court order.”). See ABA Model Rule of Professional Conduct 3.5; id. Rule 3.5(a) (“A lawyer shall not . . . communicate ex parte with such a person during the proceeding unless authorized to do so by law or court order.”). See In re Judge B. Carlton Terry, Jr., Inq. No. 08-234 (Apr. 1, 2009). See ABA Model Rule of Professional Conduct 8.4(f) (“It is professional misconduct for a lawyer to . . . knowingly assist a judge or judicial officer in conduct that is a violation of applicable rules of judicial conduct or other law.”). See ABA Model Rule of Professional Conduct 8.4(e) (“It is professional misconduct for a lawyer to . . . state or imply an ability to influence improperly a government agency or official or to achieve results by means that violate the Rules of Professional Conduct or other law . . . .”). See Debra C. Weiss, Georgia Judge Resigns After Questions Raised About Facebook Contacts, ABA Journal, Law News Now (Jan. 7, 2010). See John M. Annese, Staten Island Criminal Court Judge to be Transferred to Manhattan After Facebook Postings, Sources Say, SILive.com (Oct. 15, 2009). See Fla. Sup. Ct., Jud. Ethics Advisory Comm., Op. No. 2009-20 (Nov. 17, 2009). See ABA Commission on Ethics 20/20, Preliminary Issues Outline at 7 (Nov. 19, 2009) (“Do the Model Rules and existing disciplinary enforcement mechanisms adequately address the use of social networking sites by lawyers and law firms?”) (available at http://www.abanet.org/ethics2020/outline.pdf). Lawyers are good at reading and applying the laws governing their clients. Oddly enough, they are less good at reading and following the rules governing themselves. See William Lidwell, Kritina Holden & Jill Butler, Universal Principles of Design at 54 (2009). ABA Model Rule of Professional Conduct 1.6(a). See id. Rule 1.6, cmt. 4 (“Paragraph (a) prohibits a lawyer from revealing information relating to the representation of a client. This prohibition also applies to disclosures by a lawyer that do not in themselves reveal protected information but could reasonably lead to the discovery of such information by a third person. A lawyer’s use of a hypothetical to discuss issues relating to the representation is permissible so long as there is no reasonable likelihood that the listener will be able to ascertain the identity of the client or the situation involved.”). Although it goes without saying, here goes: don’t use public social media to communicate with clients about their cases (such as through Facebook wall-to-wall communications or public Twitter posts). Use email.